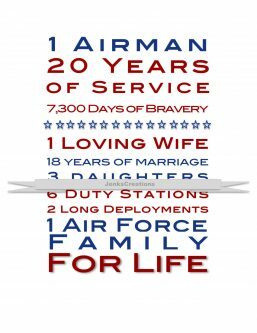 Here are 20 different gift ideas for celebrating an Air Force veteran’s retirement. This album is a great keepsake because it can hold photos, pins, and patches all in one. 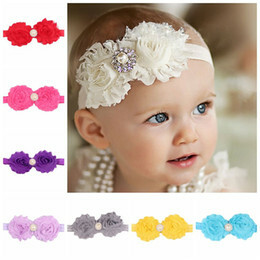 It’s a great way to preserve memories of their time in the Air Force. This high-quality glass decanter is perfect for retirements. 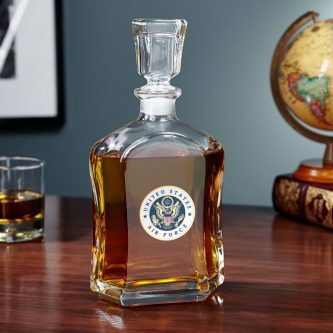 Help your Air Force retiree store their favorite liquor in a decanter like this. This funny shirt would be perfect for someone retiring from the Air Force. Even though they’ve left the service, chances are they are still representing the strong morals and values they learned while serving the country. 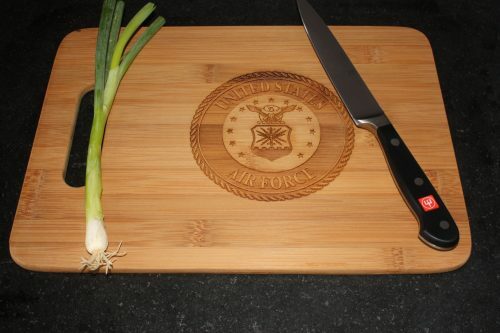 This cutting board would make an excellent addition to their kitchen and recognize their service to the country. 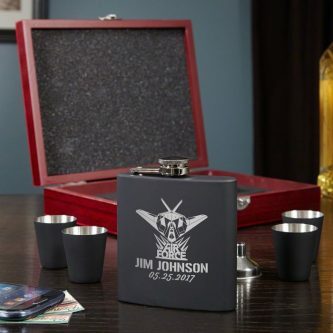 This gift set is a customizable way to commemorate their service. If they’re into drinking liquors and/or other spirits, this is definitely useful. 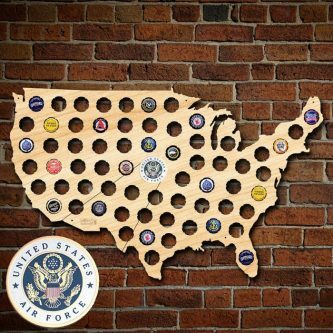 If your Air Force retiree has been fortunate to travel all over the country and they like beer, this beer cap map would be a great way to display some of the beers they’ve tried and places they’ve been. 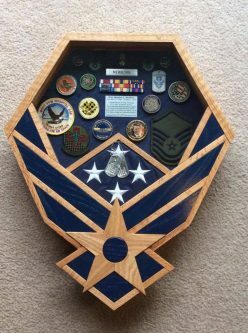 This blue & oak box is a beautiful way to display insignia and medals from their time of service. This plaque features the official emblem & motto of the US Air Force. 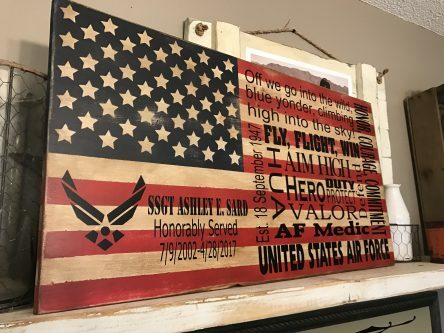 It’s prepared to hang and it’s perfect for an Air Force retiree. 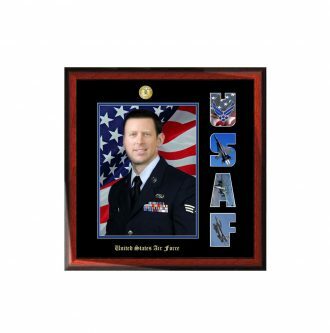 This wooden sign would make an outstanding display in an office or living room to honor their service. These framed pieces of flag art are simple displays for any room of their home. 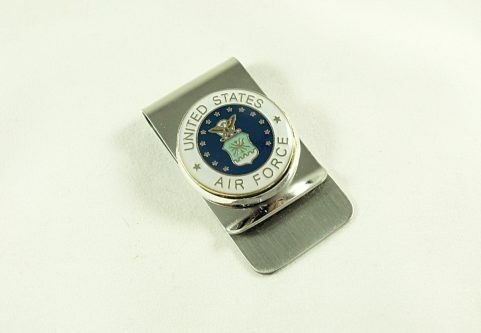 This clip is a stylish way for your Air Force retiree to carry their cash. This blue & white card is a great place to share your congratulatory message. 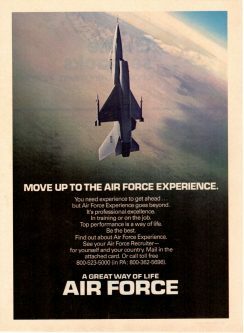 This print can be customized to the retiree’s career specifics. 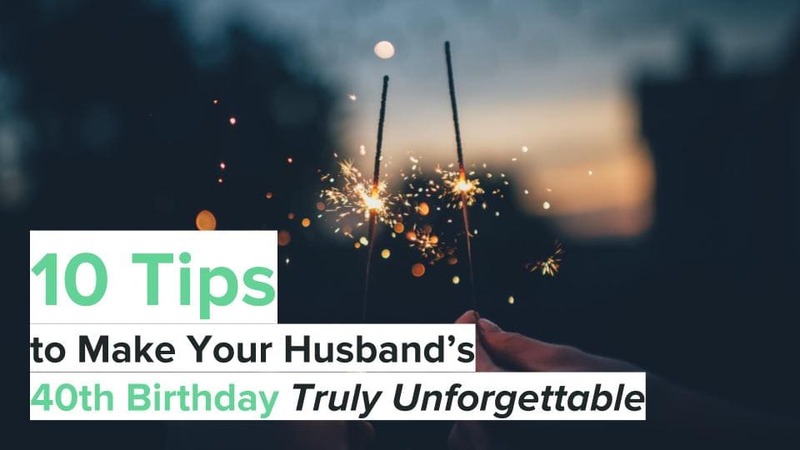 It’s a simple PDF that you print, frame, and then gift. Add the retiree’s photo to this frame and you’re set! 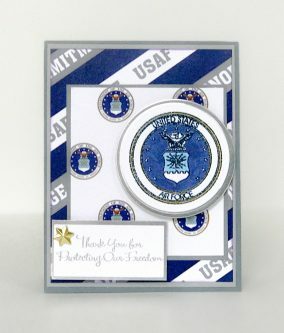 Commemorate their time in service with this frame. A perfect way to simply display their retired dog tags. These are common on the roads today. 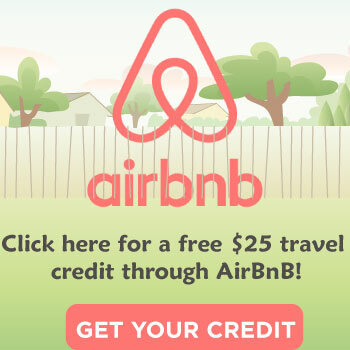 If your Air Force retiree has a car or truck, this would be a nice touch. 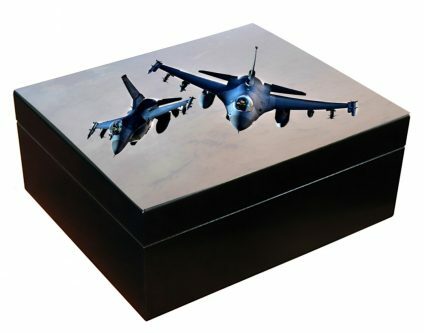 This keepsake box would be a safe place to store medals and other important memorabilia. 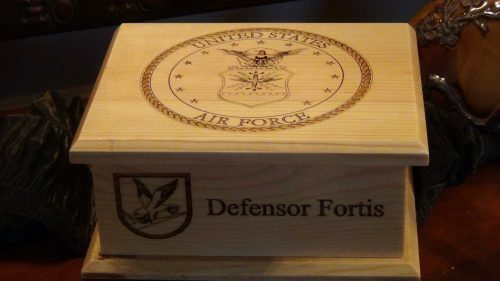 If your Air Force retiree smokes cigars, this is an appropriate way to store them and recognize their service. This vintage wall decor would be a great unique addition to their home or office. 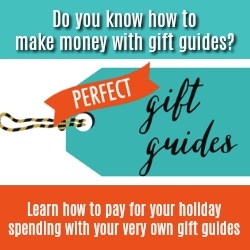 No matter what you choose to gift, make sure you’re showing gratitude for their service to the country.